MSI has their hands full as they get ready for CES 2014 preparing several new products for their Gaming lineup. In addition to the non-reference Radeon R9 290 series boards, AMD is also preparing the Radeon R9 270X Gaming ITX and Radeon R9 280X Gaming with 6 GB VRAM. 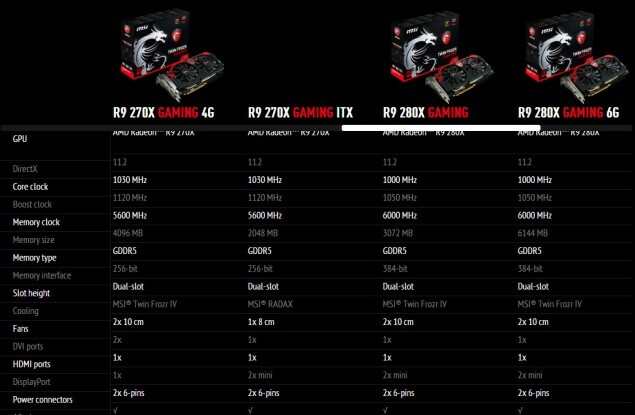 Since it launch, MSI has been expanding its Gaming lineup with several new products such as the recent Z87I Gaming M-ITX motherboard and GTX 760 Gaming ITX graphics card. MSI is going to make two new additions to this lineup with a new ITX form factor product and a higher memory buffer graphics card for those who prefer to play on ultra-high resolutions. 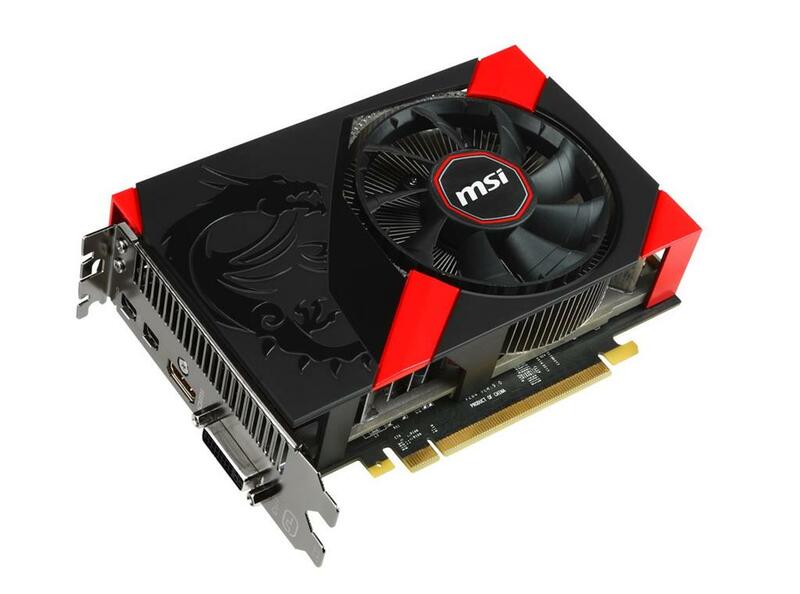 The MSI Radeon R9 270X Gaming ITX is the first ITX form factor graphics card based on an AMD GPU since the last one we saw from MSI and ASUS featured the GK104 Kepler core (GTX 760). The Radeon R9 270X doesn’t sacrifice any bit of performance due to its form factor and comes with MSI’s Radax cooling design which has been detailed below. Technically, the Radeon R9 270X Gaming ITX features the Curacao XT core that features 1280 Stream processors, a 2 GB GDDR5 memory running along a 256-bit interface and clock speeds of 1030 MHz base, 1120 MHz boost and a 5.6 GHz effective clock for t he memory. As for the design, we are looking at a dual 6-Pin power connector configuration and display ports that include two sets, a DVI and a full-length HDMI port. The card will feature a fully custom PCB though we have yet to see it. As for the cooler, MSI is using their Radax implementation which has already been featured on the GTX 760 ITX. The new propeller blade fan which measures 8 cm is centered around a circular fin array with a S shaped heat-pipe running through it. Pricing and launch date are unknown at the moment. The second card we are looking at is MSI’s Radeon R9 280X 6 GB which as the name suggests features a ton of memory for the Tahiti chip. Not that its the first time this has happened, we saw some 6 GB variants of the HD 7970 such as Sapphire’s Toxic but no other vendor made such a card. 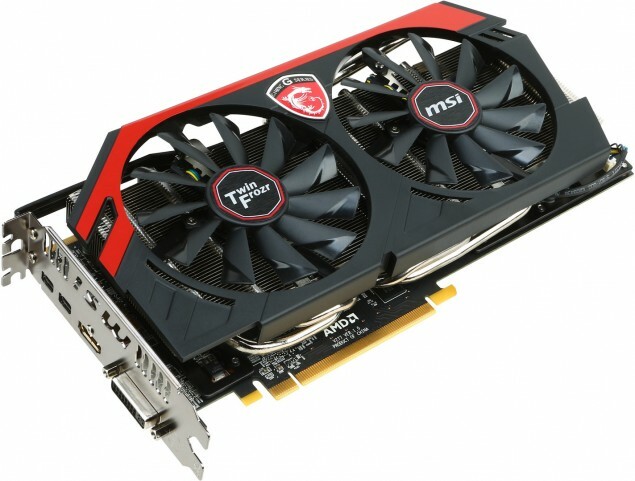 The Radeon R9 280X 6 GB from MSI is a regular Twin Frozr IV variant with the Tahiti XT chip boasting 2048 SPs, 1000 MHz base, 1050 MHz boost and a 6000 MHz memory clock. The 6 GB VRAM operates along a 384-bit interface and powered by dual 6-Pin connectors. Expect pricing to be a bit higher than the 3 GB variant but the card seems like a perfect choice for those still modding Skyrim heavily or playing above 1440P.